Don’t you just love a good challenge? My dad has brought me a few winners in the past, but this one was definitely one that made me laugh OUT LOUD. Why? Well…it’s so ugly!! 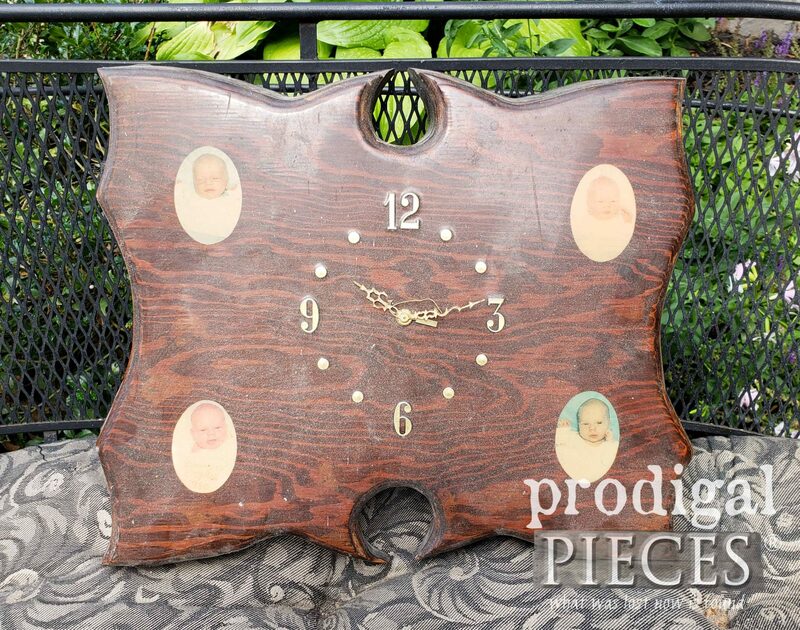 I honestly felt bad for the forgotten babies, but it was time for an upcycled clock makeover, don’t you agree? Who doesn’t like to have a good score at the thrift store? If you’re not raising your hand…ummm…I can honestly say that we are not kin. hee hee hee. Seriously though, take a look at what I got in this stash in one trip. 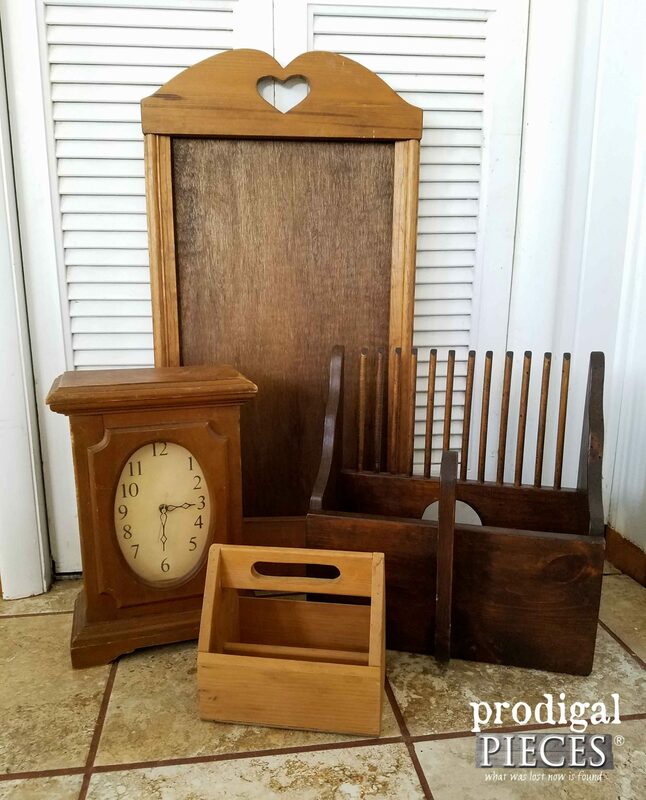 A clock, a caddy, a wood thingy (I actually know what it is, do you? ), and a large empty framed wall decor. 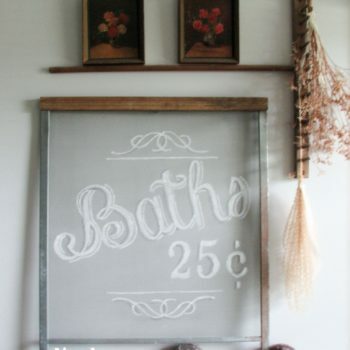 I want to show you how I turned them into some thrifty farmhouse decor. 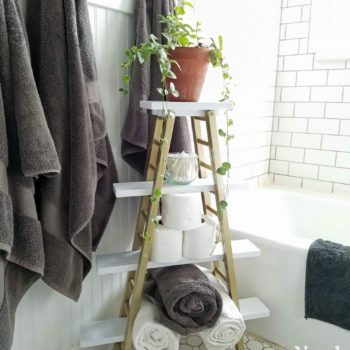 Let’s get our DIY on, plus I have a WINNER to announce! When I go thrifting, I’m always on the lookout for these outdated wooden pieces because they offer much potential. 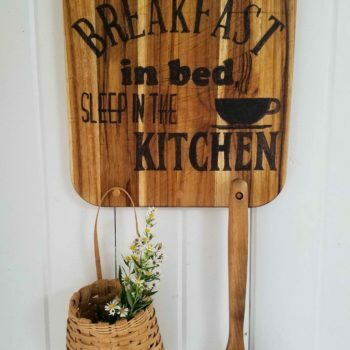 Since I am not a box store junkie for my home decor, I like to make it my own by personal touches and updates, or even finding a new purpose for it which, I believe, causes intrigue in my decor. I am a mama on a mission – a mission to declutter and make use of everything I can lay my DIY hands on. My home has been overrun by my business (kinda like living in a warehouse) and I need things to be normal, at least somewhat normal – as if living with 6 kids is ever normal. ha! My latest subject for renewal is this Art Deco mirror back that I think will make an awesome faux clock for my mantel. Do you see the potential? This mirror back was originally going to be used in our boys’ bedroom makeover that had an industrial feel. You can barely see it, but we had already drawn on the word “GULF” as we were going to turn this into a vintage appeal gas station sign. But, we didn’t end up using it, so faux clock it is. 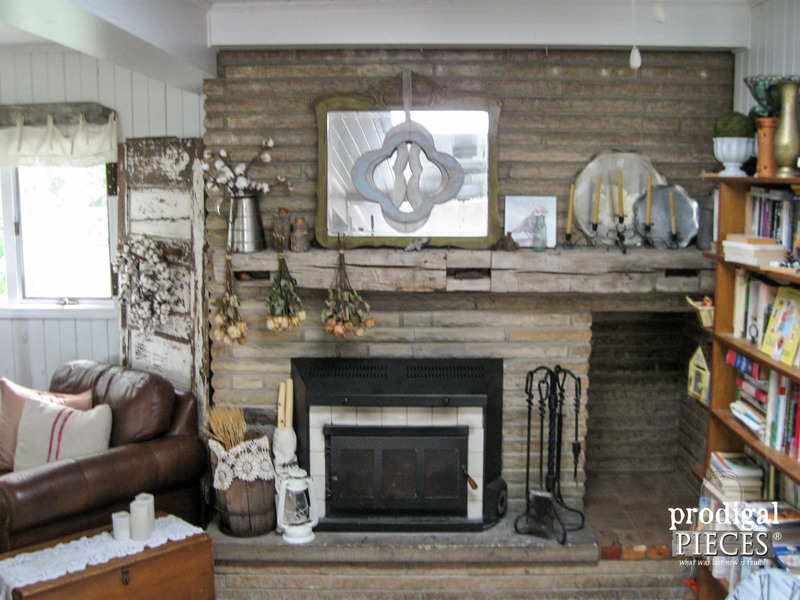 My mantel has been…well…neglected. 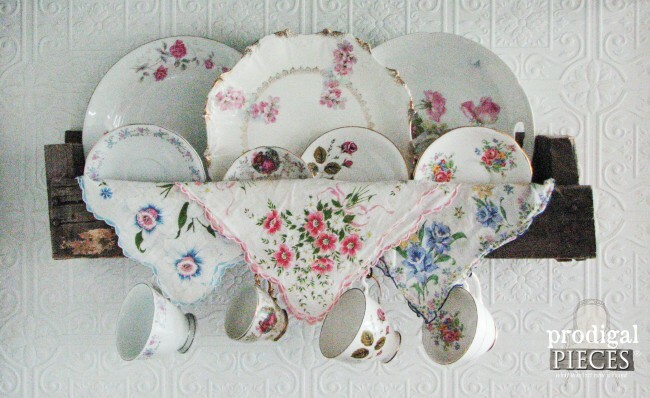 I haven’t done much to it since my fall design and Christmas, but now it needs a summery makeover, don’t you think? Enter in my new faux clock…I love it! 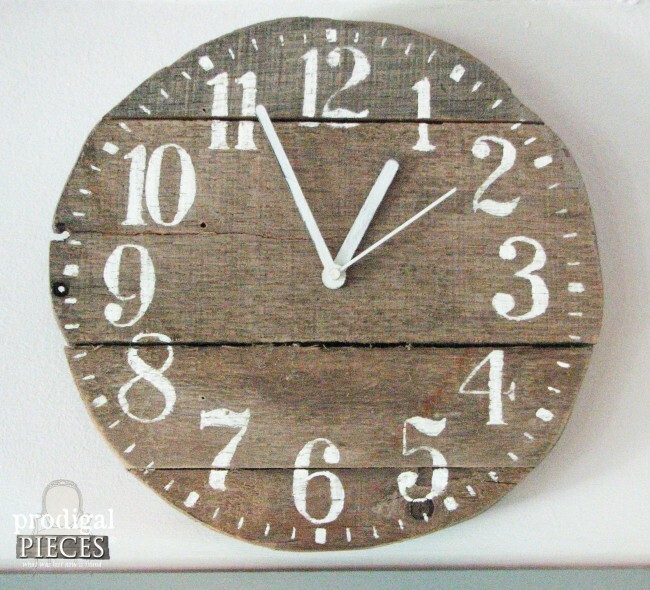 The best part about this new faux clock is that it is totally doable with materials found at your local home improvement store. It even has the potential to be a working clock too (see below). 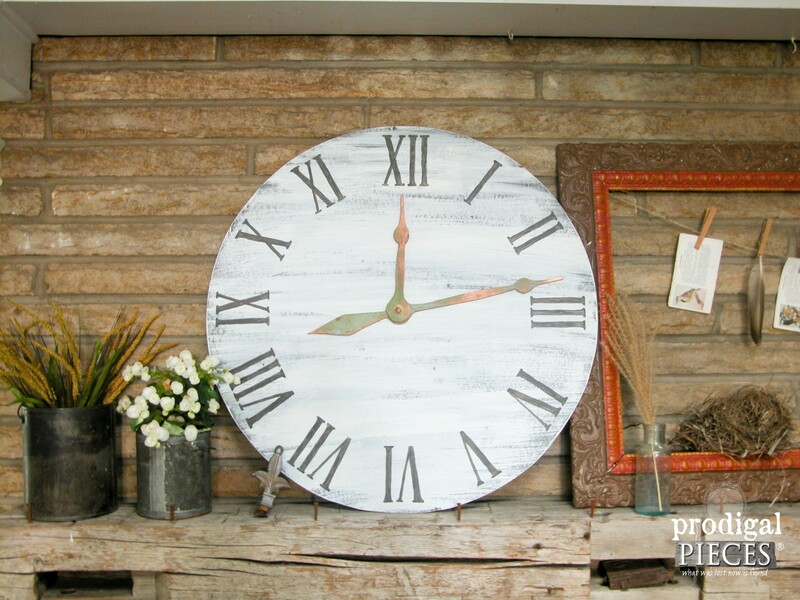 Even if you’re not into DIY, but love this faux clock, you can find it available in my shop. 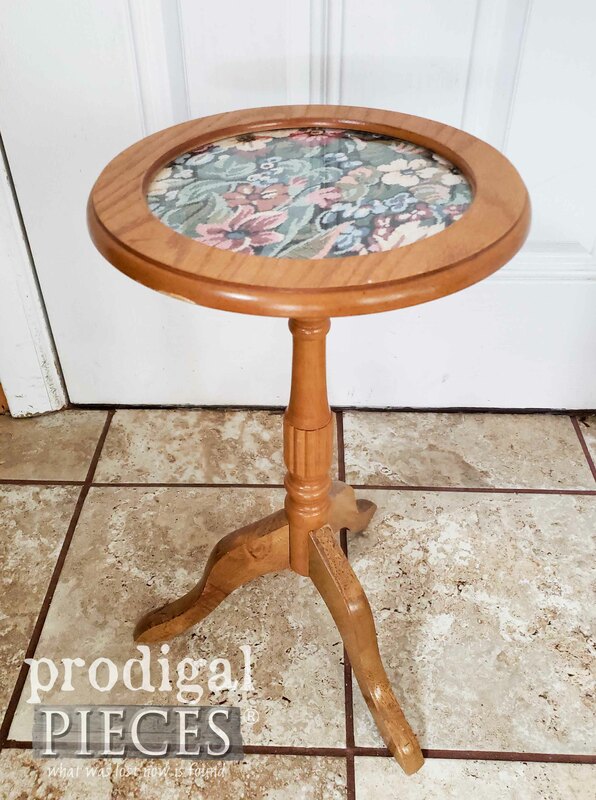 As I promised last week, I have a fun upcycle for you today using a curbside find that my friend junkin’ friend, Mandy, spied for me. 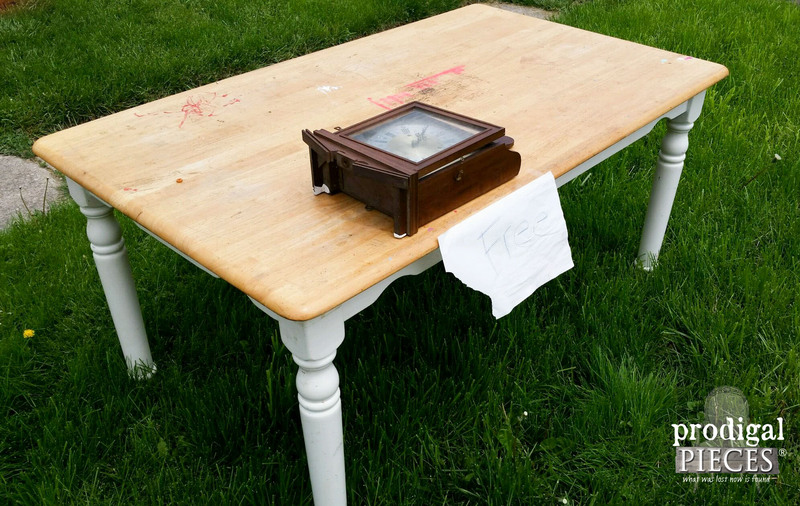 She was driving home and saw that a neighbor had placed this table on the curb and she knew that my furniture lovin’ heart might be interested in the table. I quickly agreed and she said, “Do you want the clock too?” At first I thought nah, but I’m a sucker for old clocks so I said, “Sure”, all the while thinking to myself, “What are you doing? 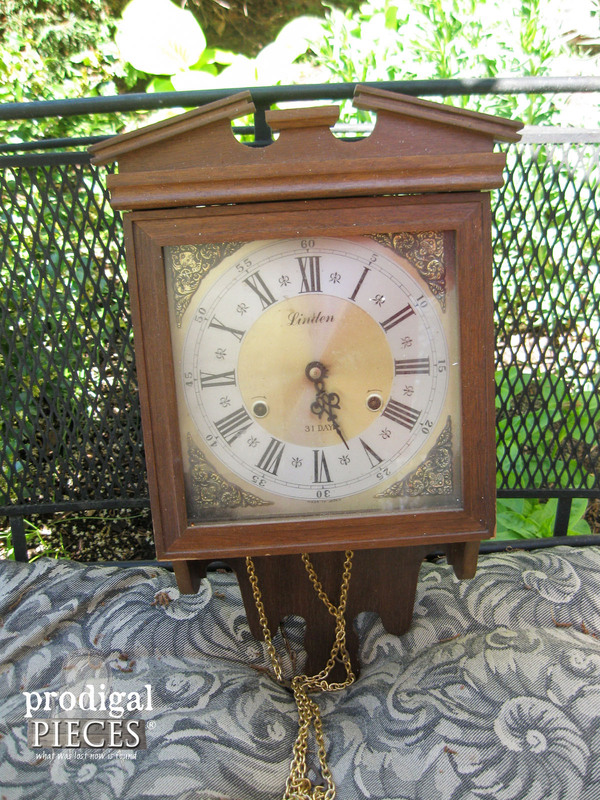 You don’t need any more junk!” And so begins the adventure of my repurposed wall clock. The table went to a needy family since I found it wasn’t a solid wood. Let me just say, if I knew more about clocks I would have loved to restore this vintage Linden clock with all its Made in Japan goodness. I had a blast getting it to “dong” on the hour. I didn’t have a key to keep it in time, so my efforts were futile. We live in Ohio where barn wood abounds and though I can resource it, sometimes it can be expensive because of its growing popularity. 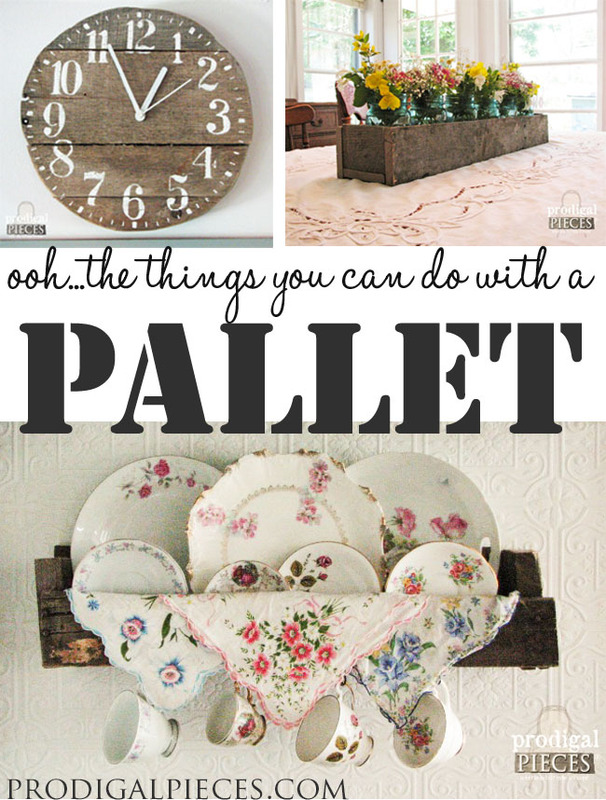 Because there’s been so much interest in my barn wood pallet shutters, I thought I would share some more of the projects I made with those same old weathered pallets. 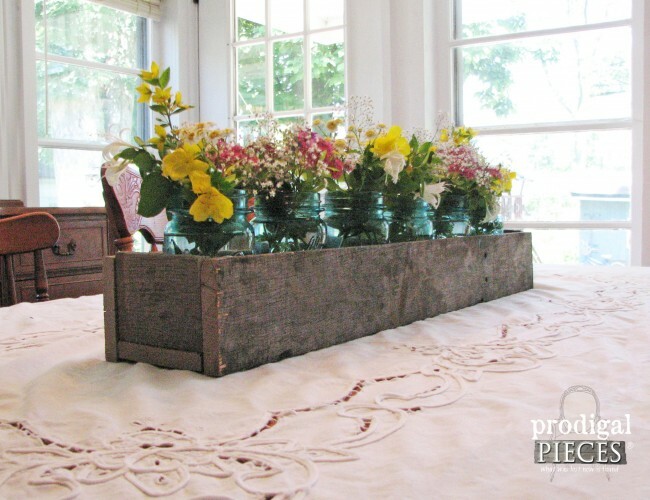 After I made the shutters, I still had a good supply of wood remaining, and I had plans on how to make the most of that wood. The very first thing I wanted to make with them was a clock. The clock I wanted to replace has been in our possession since we were married 15 yrs. ago and was the cheapest coordinating Walmart-brand clock we could find (we were newlyweds and college students = no money). 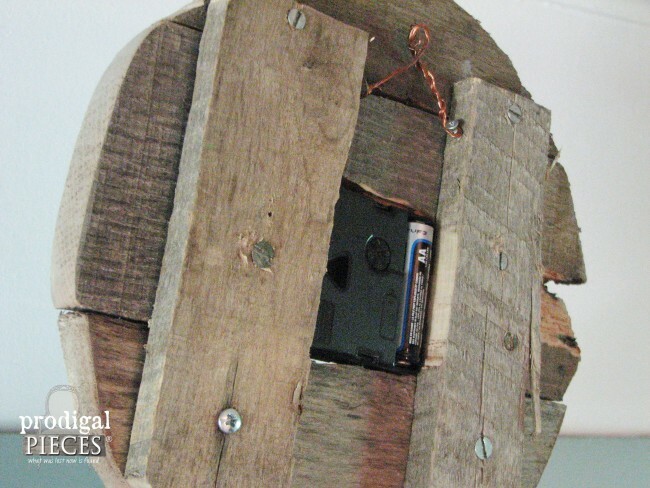 I must say to my amazement, it is still running because I used the works from inside that clock to build this one made from pallet wood! I basically took four random scrap pieces and lay them together. I took another two scrap pieces and attached them across the first pieces, making sure to catch all four slats. I had to make sure to leave enough room between the slats to hold the clockworks. My ever-helpful hubby routed a spot for me so that the pin of the clockworks could protrude out the front enough to catch the clock hands. Last, I took my handy jigsaw (one of my favorite tools) and cut out the size circle I had trace on the front of the four slats. *Don’t you love my mismatched screws…I was not about to run to the store for a couple screws and I love using up my miscellaneous hardware stash. To get the stenciled clock face: First, I found the clock face graphic on my favorite free graphics site, The Graphics Fairy found here. Then, I printed the clock face in the size I wanted (not reversed). Next, I took an light-colored artists pastel and rubbed all over the back of the clock face print, making sure to cover all the text areas I wanted. 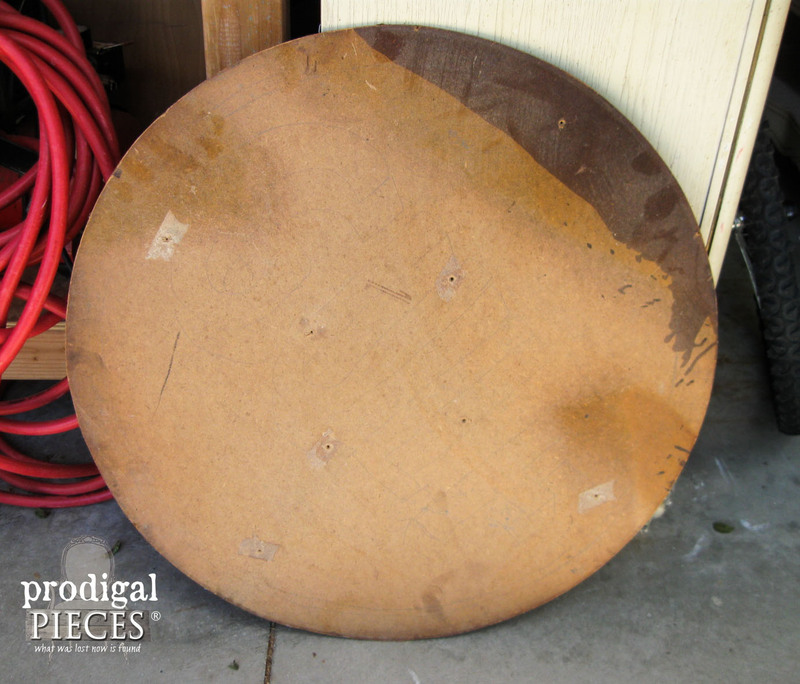 Once I had positioned the graphic where I wanted it on the blank pallet circle, I took a blunt colored pencil (a color that I could see where I had already traced) and traced the clock face numeral outlines and hash marks, pushing firmly to make the pastel transfer to the pallet wood. Last, I hand-painted the solid numerals and hash marks with an ivory-colored acrylic craft paint. My original clock hands were black, so I spray painted them white. Installed the works, attached the hands (don’t forget the battery), and used a very primitive wire mount with which to hang the clock. Done! Can you believe I scored over a dozen antique blue Ball Mason jars (quart & pint-sized) from a very generous freecycle lady? Yes!! I knew I had to make a centerpiece to display them. At a later point, that same lady gave me her grandmothers stash of hand-embroidered linens, her own work… a whole grocery-bag full! Needless to say, I needed no other gifts that year. This shelf was made simply by leaving part of the pallet intact and features some of my thrifted finds just using some spray-painted cup hooks. And there you have it! If you have any questions, please feel free to ask.